House rules prohibit members from taking video while on the House floor, but that didn’t stop Democrats from live-streaming their June sit-in to protest a lack of gun reform. Republicans talked for months on possible punishments for members taking part in the sit-in. Speaker Ryan finally announced this week a proposal to fine any House member who live-streams or records video on the floor. The punishment would include a fine up to $2,500 for anyone who violates the rule. House Minority Leader Nancy Pelosi is not happy with Ryan’s announcement and is calling the whole proposal a power grab by House Republicans. She expressed her grievances in a letter to colleagues Thursday. 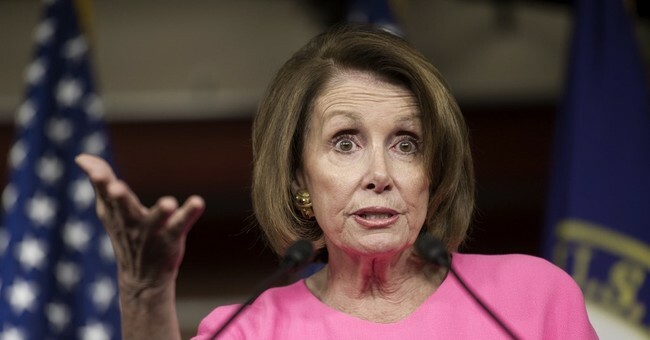 “While the American people worry for the financial security of their families, Republicans are opening the new Congress by turning their backs on the outside calls for help with an inside power grab in the House Rules,” Pelosi stated in the letter. Democrats aren’t happy the moves come in response to their own actions over the summer. They are also suggesting the proposed rules may be unconstitutional. The proposal would give the sergeant-at-arms the authority to fine any lawmaker who breaks the rule by recording video on the floor. First-time offenders would receive a $500 fine. Any subsequent violation would result in a $2,500 fine. The question is over whether the House can delegate punishment authority to the sergeant-at-arms. Usually issues such as these are referred to the House Ethics Committee. Some experts point out that Article 1 of the Constitution states “each House may … punish its Members for disorderly behavior.” This has been interpreted as only a full House with a floor vote can approve punishment to a lawmaker – not an officer of the House such as the sergeant-at-arms. The proposed rule changes will be voted on January 3.